Constipation usually means that your bowel movements are too hard. 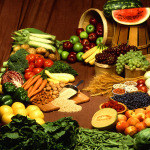 High fiber foods such as fruits, vegetables, and whole grains help prevent constipation. Leaving time in the morning to use the bathroom before work or school is helpful. Some medical conditions such as diabetes, irritable bowel syndrome, low thyroid, and pregnancy can cause constipation. Medications such as strong pain pills, antidepressants, and antihistamines can also cause constipation. Most of the time, however, constipation happens for reasons such as waiting too long to go to the bathroom and not having enough fiber or liquids in your diet. The good news is that dietary and lifestyle changes can keep you “regular” and help you feel better.